NBA All-Star 2014 kicks off on Friday. Before the festivities begin, Nike Sportswear will be dropping this "Crescent City" Collection. 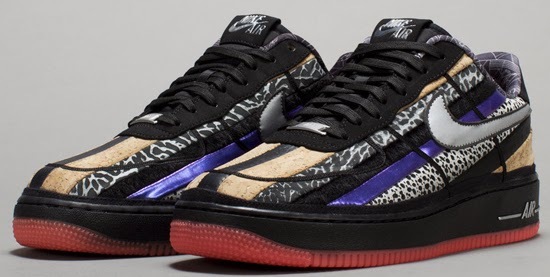 Inspired by New Orleans, the location of this years All-Star game, this collection features the Nike Air Up '14, Nike Air Force 1 Low CMFT Premium and Nike Flystepper 2K3. First up, the Nike Air Up '14. This pair comes in university red and black and is known as the "Crawfish" edition. 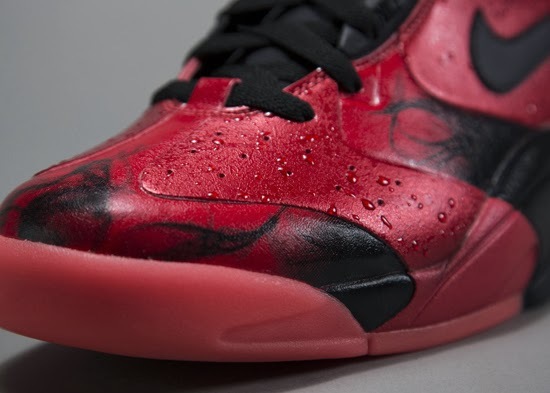 It features a red based upper with water droplets throughout along with black accents sitting on a glow-in-the-dark red outsole. 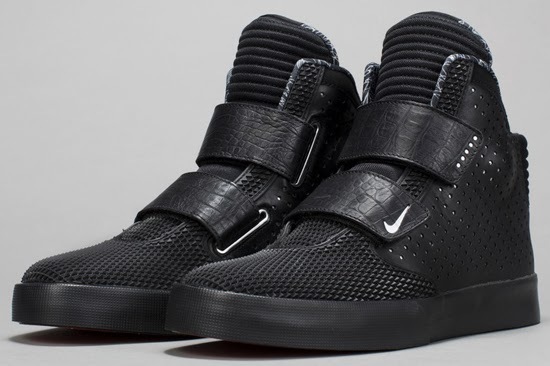 Next is the Nike Flystepper 2K3 Premium. 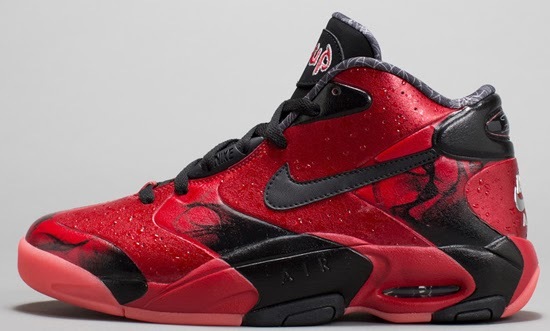 This pair comes in black and atomic red and is known as the "Alligator" edition. 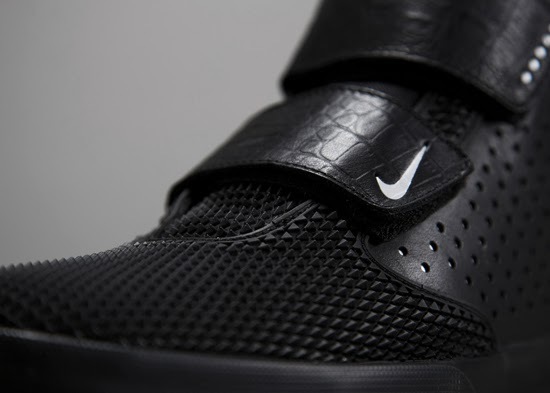 It features a black based premium leather upper with perforated side panels, faux-alligator straps and a raised synthetic on the toe sitting on a vulcanized outsole. Last is the Nike Air Force 1 Low CMFT Premium. This pair comes in black and atomic red and is known as the "Gumbo" edition. 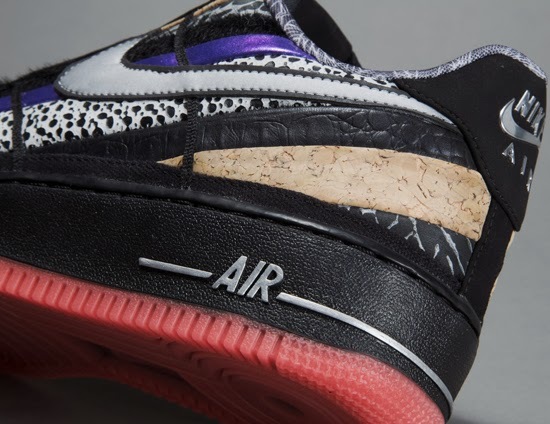 It features a unique combination of materials, prints and colors including Foamposite, cork, elephant, gator, pony hair and safari. Finishing this pair off is a black midsole and translucent red gum rubber outsole. Enjoy the official images below of the Nike All-Star "Crescent City" Collection featuring the "Crawfish" Nike Air Up '14 in university red and black, the "Alligator" Nike Flystepper 2K3 Premium in black and atomic red as well as the "Gumbo" Nike Air Force 1 Low CMFT Premium in black and atomic red. If you're interested in picking any of these up when they release, check in with your local spots to see if they will be receiving them. 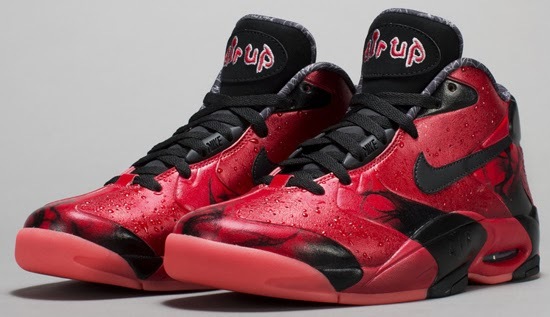 Those of you looking for the Nike Air Up '14 now can, grab them from eBay here. 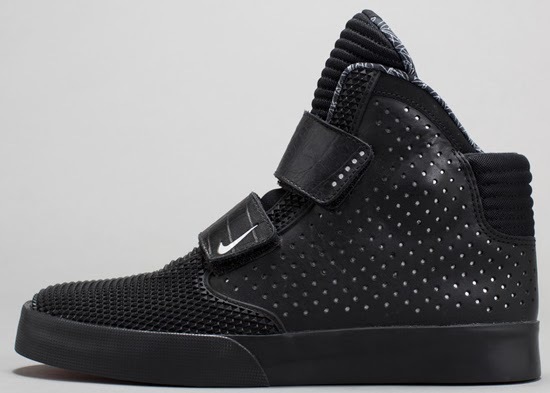 Those of you looking for the Nike Flystepper 2K3 now can, grab them from eBay here. 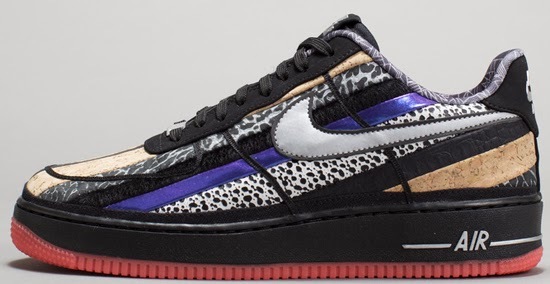 Those of you looking for the Nike Air Force 1 Low CMFT now can, grab them from eBay here.